Though adoption is growing at a rapid pace, voice-enabled technology is still nascent and not used often for buying, with the majority of purchases going toward media, entertainment and household products, according to a study by retail search marketing firm NetElixir. Of the 1,000 U.S. adults surveyed, a majority use voice assistants to search for specific brands rather than specific retailers, the group found. Twenty percent of respondents said they use voice search, while 62% don’t use the tech at all. Eighteen percent have used voice search in the past, but no longer do so. About half (46%) of those who use voice search do so every day, and 24% use it weekly. Nearly two-thirds of voice search users use voice search on a mobile device, with 50% saying they like the hands-free convenience. Most voice search users (64%) have engaged with the technology for two years or less, and 21% have started within the past six months, indicating that the tech’s popularity is growing. However, 71% of voice searchers only use the tech to research products, not make purchases. Of those that make transactions, most are buying music, books and other forms of entertainment media. Household products, apparel and purchases through apps like Domino’s and Uber make up the remainder of popular purchases, the study found. NetElixir’s survey highlights the importance of strong branding when it comes to voice shopping, as the majority of people search for brand-name products on their devices rather than specific retailers that carry those items. This points to the idea that most people are more likely to recall and request the specific product names or brands of items they need, especially for things like repeat purchases. That means the name “Colgate” becomes more important than any retailer that carries the toothpaste brand, per the release. More than retailers, brands have an opportunity to develop an identity on voice platforms to stand out in this regard. Voice is uncharted territory for most marketers, and the findings underscore how much of the channel’s potential — namely through transactions conducted via voice commands — is not quite yet realized. Right now, there’s a significant opportunity for brands to get on board with voice shopping as more consumers adopt and become accustomed to interacting with digital assistants like Google Assistant or Amazon Alexa on a regular basis. Smart speakers belong the rapidly growing market of smart-home devices, whose shipments jumped 28% last year to 433.1 million units worldwide, according to the International Data Corporation. The researcher estimated an annual growth rate of 18.5% in the next few years as the market more than doubles to 939.7 million devices shipped in 2022. The smart speaker category, including devices like Amazon Echo and Google Home, will remain the fastest-growing of smart-home devices, IDC forecast. Despite the rise of voice-enabled devices in U.S., consumer habits don’t change overnight, and many people still don’t find much added value in asking a voice-enabled device for information about where to shop and what to buy. 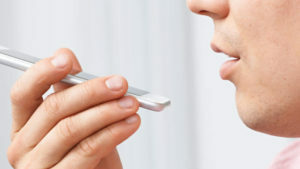 Looking ahead, however, voice shopping is expected to jump 1900% to $40 billion in 2022 from $2 billion today, according to data from OC&C Strategy Consultants. This will likely be driven by more consumers buying and using smart speakers like the Amazon Echo or Google Home, particularly younger families with higher incomes, per the firm.